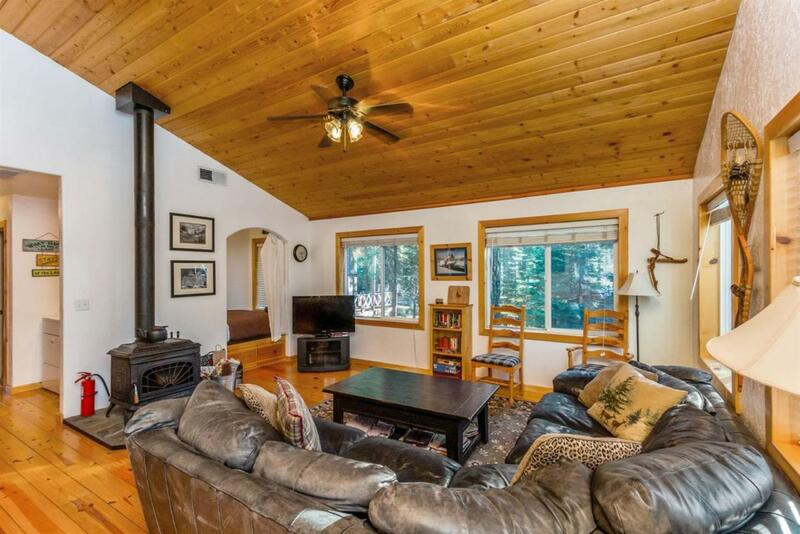 This cabin is situated on a level lot with mature sugar pines and large granite boulders. 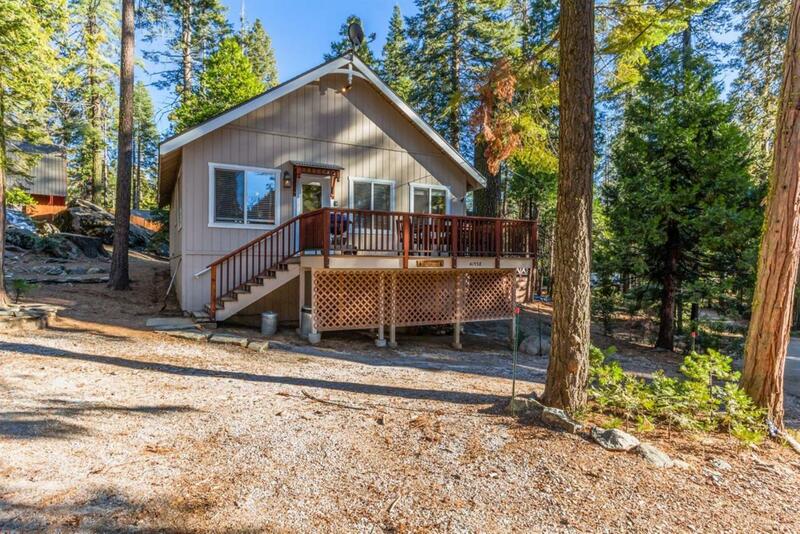 Inside, this 2 bed (+ sleeping nook and bunk room) 1 bath cabin was built in 2002 has an open floor concept, large dual pane windows and is within easy walking distance to to the shops, restaurants, and Shaver Lake. When entering, the wide pine plank ceiling and flooring and the river rock wood burning fireplace complement the living area. 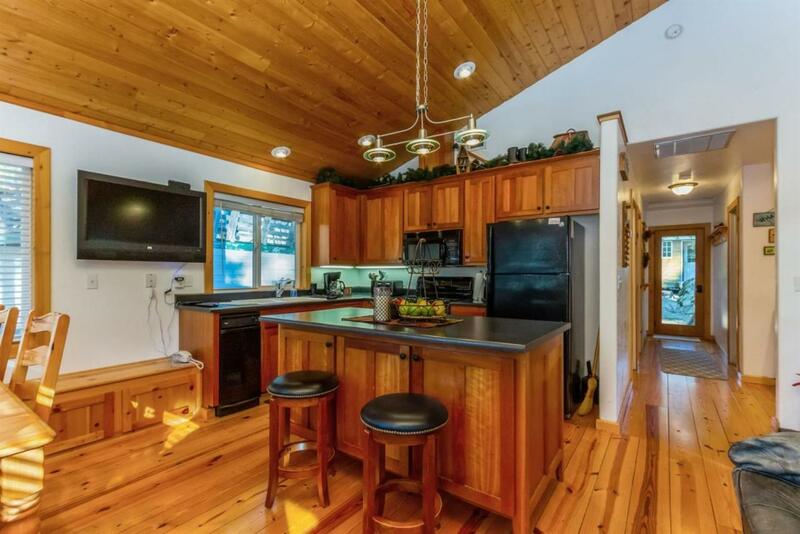 The kitchen boasts cherry wood cabinets, a prep island, and GE appliances. Down the hall way towards the two bedrooms is the laundry room and full bathroom. Outside the backyard is a fun kids bunk room with 3 bunks. Good rental income through Airbnb. 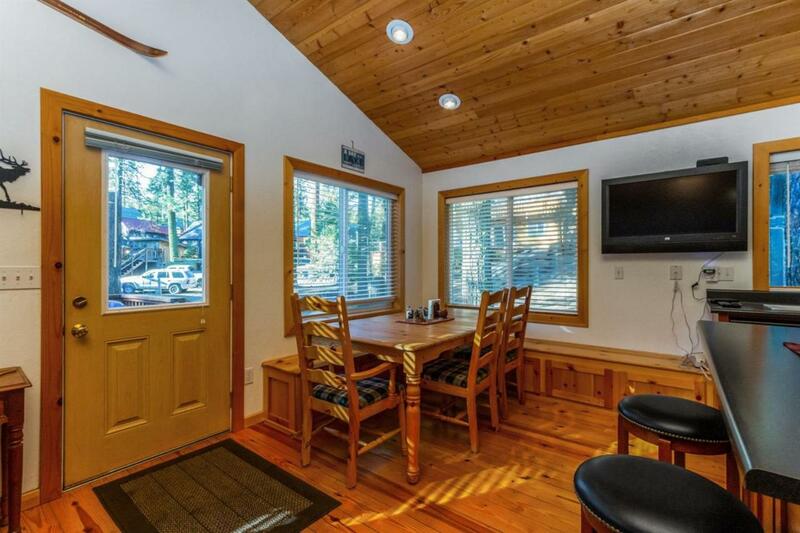 Come and see this perfect family getaway.